Australian actor Joel Edgerton has contributed to some fine, complex feature scripts in the past, as well as a handful of short films. 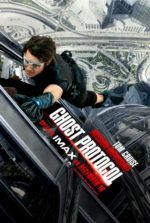 In 2008, he co-wrote the sharp neo-noir The Square for his director-brother Nash Edgerton. Next came Felony in 2013, a moralistic tale about a cop whose guilt gets the better of him. He also helped conceive the story for The Rover, last year’s brooding and spare post-apocalyptic drama. With each title, Edgerton demonstrates his ability to take on an established genre, even formulaic scenes and narrative tropes, and retool them in a way so they feel vital again. 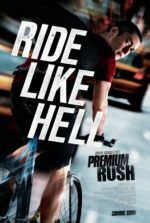 Making his debut as writer-director, Edgerton proves with The Gift that he’s just as accomplished behind the camera as in front of it, coolly crafting a tense slow-burner in the vein of 1990s yuppies-in-peril thrillers. Titles like Fatal Attraction, The Hand that Rocks the Cradle, Pacific Heights, and Unlawful Entry come to mind; in each, a yuppie (usually male) gets involved with a seemingly normal oddball who terrorizes his family. Edgerton’s take on the material spends as much time in the mechanics of this subgenre as it does innovating it. Jason Bateman and Rebecca Hall play Simon and Robyn, an outwardly well-to-do couple who’ve just relocated from Chicago to L.A. into a roomy modern home on a hill. Allusions to Robyn’s lost offspring and Simon’s cushy new corporate job suggest this is a fresh start for the couple, despite Simon having grown up in the area. While shopping one day, Simon’s former schoolmate named Gordo (Edgerton, behind a dark red goatee and loop earring) bumps into them, apparently by accident. He’s polite but awkward, which Simon is quick to point out later—they used to call him “Gordo the weirdo,” he remembers. Before long, the couple receives housewarming gifts on their doorstep from Gordo (a bottle of wine, koi fish for their pond, etc. ), and social niceties require they invite him over for dinner. Then he shows up when Simon isn’t home to set up the television for Robyn. And still more gifts on the front doorstep. Simon wants it to stop, but the more introverted Robyn, with her depression and pill addiction, relates to Gordo’s “weirdo” status. What would typically result from these elements is our heroic Everyman would be pushed to his limit as the Weirdo becomes increasingly aggressive in his maneuvers, leading to a bloody and disturbing finale. The Everyman restores order to his home, protects his vulnerable wife and, aside from some strain in the marriage, all ends well. Not so in The Gift. Edgerton tests his audience by introducing doubt about our hero. Gordo’s unhealthy stalker fixation continues until Simon confronts the issue, resulting in an apologetic letter from Gordo, saying he’s willing to let “bygones be bygones”. Did something happen when they were at high school together? Simon claims he doesn’t know what Gordo is referencing, but Robyn begins investigating. Where the film goes from here delves into how neither Gordo nor Simon have changed much since high school, even if both claim that people change and time heals all wounds—Gordon remains strange and Simon remains a cruel bully. Bateman is particularly well cast; he uses his smarmy persona to appear likable, but transforms that into an ugly, often cruel portrayal. 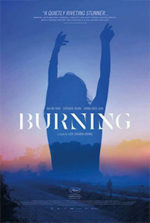 As our sympathies shift, Robyn’s investigation becomes central to the film; she tries to understand Simon’s closed-mouth attitude toward Gordo and his increasingly harsh behavior concerning the situation. Hall’s performance requires her to be an unbalanced housewife at first, but like most of The Gift, her character doesn’t meet the subgenre’s expectations (even if, as the wife, she’s pigeonholed into being the object of affection, a symbol of conquest, and a moral compass). Meanwhile, a series of chilling moments shake the viewer, involving familiar but effective devices: mysteriously open faucets, a missing dog, strange sounds in the empty house, inconvenient trouble at the office, interrupted dinner parties, and silhouettes peered through a foggy shower door. Edgerton’s character never devolves into a bloodthirsty maniac, however; his presence, though odd, contains expressions of vulnerability and insecurity. This leaves the audience to question whether Gordo is coming apart as the film proceeds, or if he’s manipulating the entire situation. That we cannot predict where the film is going is a testament not only to Edgerton’s performance, but also his writing and accomplished direction. Best of all, Edgerton doesn’t drive the film to a typical finale where one of the three central characters must die to resolve the conflict. 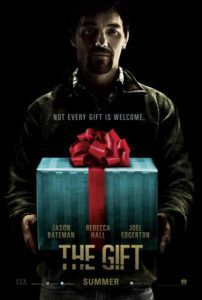 In fact, The Gift ends on a note that leaves the viewer and the protagonist devastated, not unlike Se7en (head-in-the-box not included). Edgerton’s technical presentation proves sharp as well. Cinematographer Eduard Grau shoots in clean and muted saturations; his use of the dark is particularly effective in a scene where Bateman is illuminated by red brake lights. The frame moves gradually and with invisible cuts courtesy of editor Luke Doolan, allowing the viewer to become immersed in the heightening tension. Fortunately, nothing works out the way we anticipate, and the situation is far more complicated than we expect. Undercurrent themes about bullying and never truly knowing the one you’re with transform what might be a typical thriller into something more. Edgerton’s engrossing and innovative directorial debut is a complicated, cleverly crafted drama about secrets and revenge, implanting definite anticipation for his next effort as a director.